Native American-owned CannaNative LLC and the Navajo Nation have come together in a partnership to grow industrial hemp for commercial purposes. In a move that is expected to provide a much-needed economic boost to the country’s largest recognized Native American tribe, a partnership was recently announced between CannaNative™ and the Navajo Nation to begin growing industrial hemp for commercial purposes. CannaNative™, a Native American-owned economic development company, will provide guidance to the Navajo tribe, who will cultivate hemp on their reservation land in New Mexico. Hemp is a member of the Cannabis sativa L plant species. Unlike its fellow cannabis member marijuana, hemp contains little to no traces of the psychoactive compound tetrahydrocannabinol (THC) and is grown and harvested for its seeds, fibers and stalks. Its seeds are used in nutritional supplements like Medical Marijuana Inc.’s Real Scientific Hemp Oil™, as well as in body care products like Cibaderm™ Body Lotion and Moisturizer. Hemp’s fibers and stalks are used to produce textiles, papers, construction materials, plastic composites, biofuel and more. The hemp product market in the United States, worth $573 million in 2015, is currently dependent on imports. More than 30 U.S. states allow hemp cultivation under the 2014 Farm Bill, but for only purposes of research and development. New Mexico, where the Navajo Nation plans to cultivate its hemp crop, currently doesn’t allow the growing of hemp. However, the leniency for hemp cultivation set forth by the Department of Justice included a provision that allows tribes to set cannabis-related laws like states are allowed to do. Historically, the casino industry has been lucrative, providing an estimated $30 billion of revenues last year according to the National Indian Gaming Commission. However, according to Forbes, the gaming “hasn’t benefited all tribes and casino growth numbers are slowing.” The 360,000-member Navajo tribe has an unemployment rate of 40 to 50 percent. “The industrial hemp project could probably overtake Indian gaming, not only in terms of employment but also in terms of revenue to the Navajo,” said Al Henderson, a senior Navajo economic adviser. “We can’t wait for the federal government … so we are working with tribes to pass their own laws in consultation with federal authorities to demonstrate that we are doing this legally and responsibly,” Rivera added. Medical Marijuana, Inc. also announced a partnership with CannaNative™ to grow cannabis, produce hemp oil products and develop economic opportunities on Native lands. 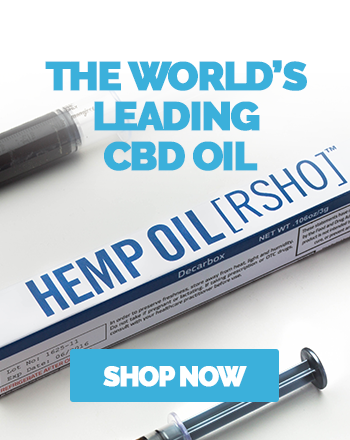 Medical Marijuana, Inc. will produce the first-ever CBD hemp oil products to be distributed to doctors, tribal wellness centers, doctors, pharmacies and dispensaries on reservations. Titus told Reuters that a deal with the Navajo National could eventually help move Medical Marijuana, Inc.’s hemp cultivation to the United States from Europe. “Our goal is to plant our initial pilot program test crop in the spring of 2017 in the Navajo Nation,” Titus said. Read the full press release announcing Medical Marijuana, Inc.’s partnership with CannaNative™ and the Navajo Nation here.